This beef stroganoff is to die for! Add the steak strips and fry till brown on both sides. Add the onion, seasoning, and spices and stir. Add just enough water to prevent burning. Cook till the meat is tender, adding water in small amounts as needed. Add the rest of the veggies and cook until the meat is fork soft. Reduce the heat and stir in the cream. Cook till the sauce is reduced. Stir in 1-2 Tblsps mash to thicken the sauce. Boil the ingredients together till the veggies are soft. Drain and add the butter. Mash and serve. The hubby would love this. 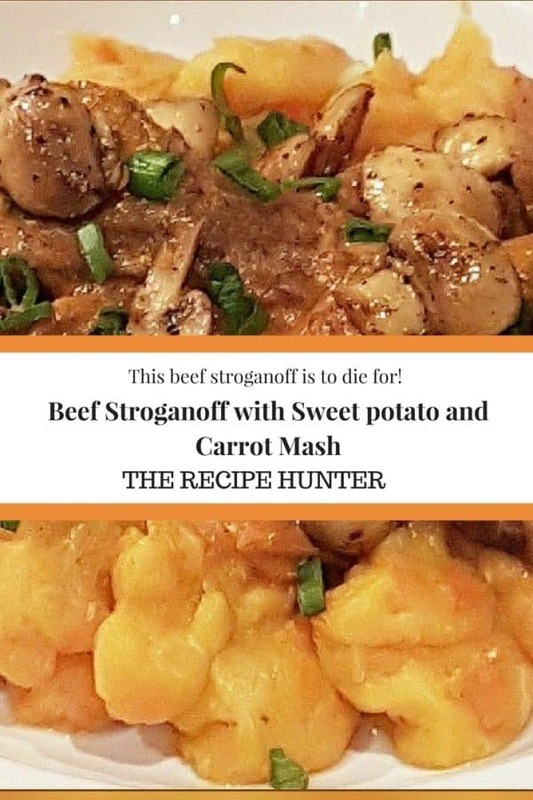 He used to eat Beef Stroganoff very regularly. Well then you will just have to make him this awesome dish.